Derek was born and raised in Salem, Massachusetts. He began taking piano lessons at the age of 6. In high school Derek was involved in almost all offered music programs including marching band, jazz band, a cappella, chorus, theater and theory classes. 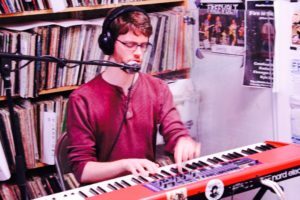 He graduated from Berklee College of Music in 2018 with a BA in Piano Performance. Derek had the honor of studying with a wide array of incredible musicians including Salem-based virtuoso Andrea Pensado, jazz legend Joanne Brackeen, Steve Hunt (Allan Holdsworth), John Arcaro, and drummer Billy Kilson (Dave Holland). He feels most comfortable playing live music of various styles including jazz, rock, and funk. He also enjoys playing musical theater shows and weddings. Derek is a new addition to the Marblehead/Salem School of Music. His primary focus is making sure students are enjoying what they are learning. There is something to learn from every style of music.